Tux Heart Box - 1 lb. Who ever said heart boxes were just for girls? 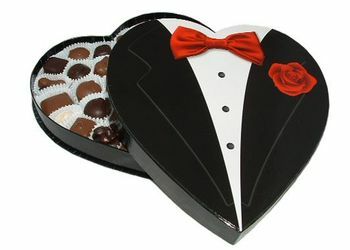 This spiffy tux box is perfect for the man in your life and is filled with a pound of mouthwatering Assorted Chocolates. Choose an all milk chocolate assortment or a mix of milk and dark chocolates.